Jacking up your car has never been easier with the ESCO Jack Stand. Available as a Standard or Flat Top model. 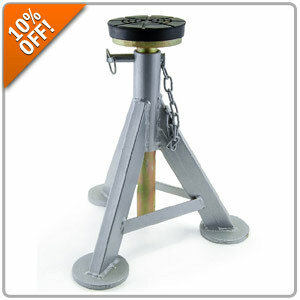 From now until March 14th, take 10% Off all ESCO Jack Stands when you enter Promo Code ESCO10 at Checkout. Offer Valid: From March 7, 2018 to March 14, 2018.